North Carolina provides something for everyone, from its quaint towns to its large business centers. It proves to be a mixture of both urban and rural life. 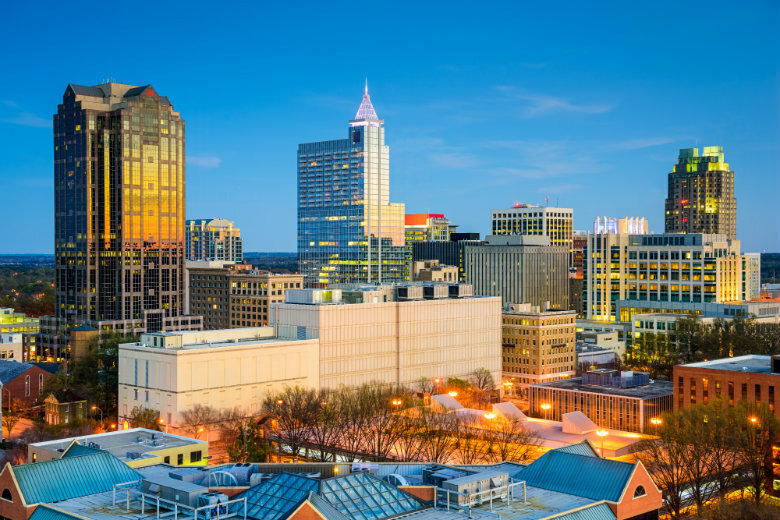 The growth of major cities, such as Charlotte and Raleigh, have led to an increase in the number of individuals wanting to relocate to the area. These large cities bring an abundance of job opportunities. Start planning your trip to North Carolina. When you are needing to transport your car, keep a few important tips in mind. Do your research. It is important to find a car transport company that is reputable and reliable. You are entrusting someone else with the shipment of your vehicle. Do your homework to ensure that the company is insured, licensed, and bonded. It is also recommended to get in touch with a car transport representative to ask general questions. Ask about payment, insurance, etc. Check out How To Choose an Auto Transport Company for more tips. Know the area. Know the location to which you intend on visiting or moving to. Some areas are more rural, while others are more urban. It is easier for a car transport truck to travel via highways in large cities than country roads. If you are moving to a small town or city, contact National Dispatch to see what arrangements can be made. Clean your car. Before transport, you will need to remove all personal belongings from the inside of your vehicle. This is for safety and insurance purposes. Read more Car Preparation Steps. Choose car transport services. At National Dispatch, we offer a wide array of car transport services to meet your individual needs. The services you choose will depend on your budget, personal preference, vehicle type, timeline, and more. Learn more about our Car Transport Services. Are you thinking about visiting or moving to North Carolina? The state has much to offer its residents and visitors. We have assembled a list of the top cities in North Carolina that people all over the country have fallen in love with. We are sure you will, too. Charlotte is the state’s largest city. In comparison to other cities of similar size, it has a relatively low cost of living, making it an affordable place to call home. The average home is valued at around $185,000. The amount of green space in the area makes it stand out from many of its neighbors. A future plan has been set in place to have more than fifty percent of the city under tree cover. One of the perks of living in Charlotte is the location. Hop in the car and drive west to reach the mountains or east to visit many of North Carolina’s beautiful beaches. Book Charlotte car shipping, today. 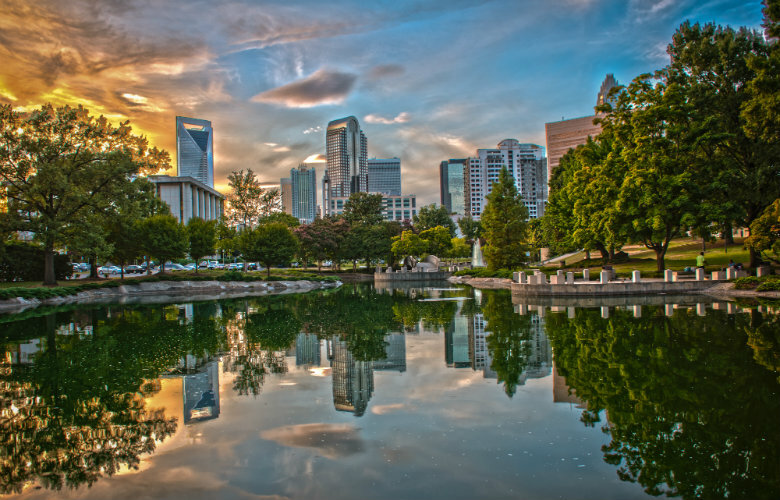 Raleigh, the capital of North Carolina, is home to over 400,000 people. The city is filled with a multitude of sites and attractions for visitors to appreciate history, art, and culture. Some of the most popular sites, include the North Carolina Museum of History, North Carolina Museum of Art, and North Carolina Museum of Natural Sciences. There is no better place to work and enjoy the great outdoors. If you are a nature-lover, take a walk or ride on the Neuse River Trail, a 33-mile long path running from the Falls Lake Dam to Clayton. In addition, living in this city means you do not have to worry about frequent heavy snow storms. Shipping a car to Raleigh is easy with the help of National Dispatch. Greensboro is the state’s third largest city. There are plenty of opportunities to walk, bike, and enjoy other outdoor activities at the parks and lakes. Greensboro is conveniently located a few hours from both the mountains and the beaches. Therefore, planning a weekend trip to the Blue Ridge Parkway is within reason. Greensboro is home to both the University of North Carolina at Greensboro and North Carolina Agricultural and Technical State University. It is a great place to continue your education. Winston-Salem is smaller in size than some of the other popular cities in North Carolina. However, it still has a lot of southern history and charm. It offers a wide array of dining establishments, the most popular featuring a southern-inspired menu. The city is home to many museums for lovers of art, history, and culture. Visit the Reynolda House Museum of American Art or the local Children’s Museum. If you love spending time on the water, Salem Lake is the place to be. It also offers a 7-mile trail for walking, cycling, and running. Durham is well-known for being home to Duke University. However, other higher education options, such as North Carolina State University and the University of North Carolina are a short drive away. Not only is the city known for its sports, but people all over the country go to Durham to receive medical care from its top-of-line health facilities. Before moving to Durham, check out the numerous neighborhoods the city hosts. There are a variety of neighborhoods to meet your lifestyle and family needs. Choose which one is best for you. Be sure to check out the Farmer’s Market, showcasing a variety of produce from local farmers. If you are in need of car transport services to or from North Carolina, contact National Dispatch. We cater our services to meet your specific needs. Therefore, whether you are an individual or corporation, we can transport your car(s) to the destination. Our online quote form makes getting a car transport rate simple. Fill out four fields of information to receive a quote instantly. If you prefer to speak with a representative, call us at 800-321-2051.